Every birthday demands a cake brightly lit with candles, and these will leave the rest in the dark. 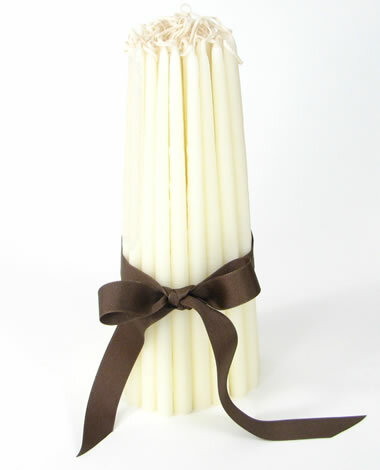 This beautiful bundle of 50 tapers, tied with a chocolate grosgrain ribbon, are a de"light"ful birthday gift. Hand-dipped in pure beeswax, theyÂ are a graceful 1/4-inch in diameter by 10 inches long.